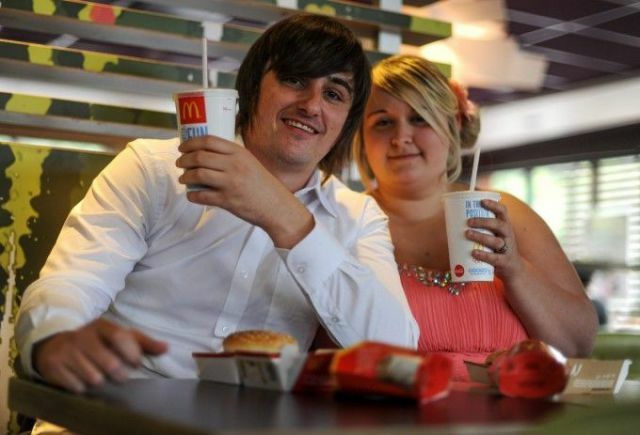 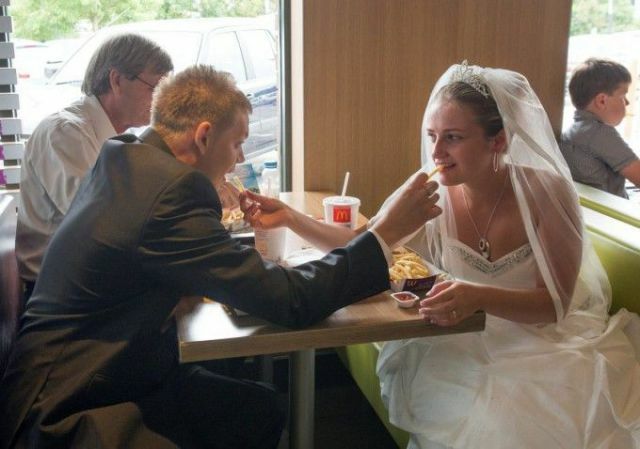 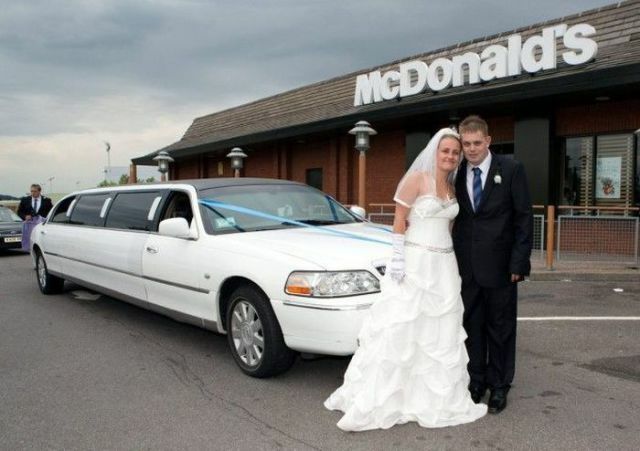 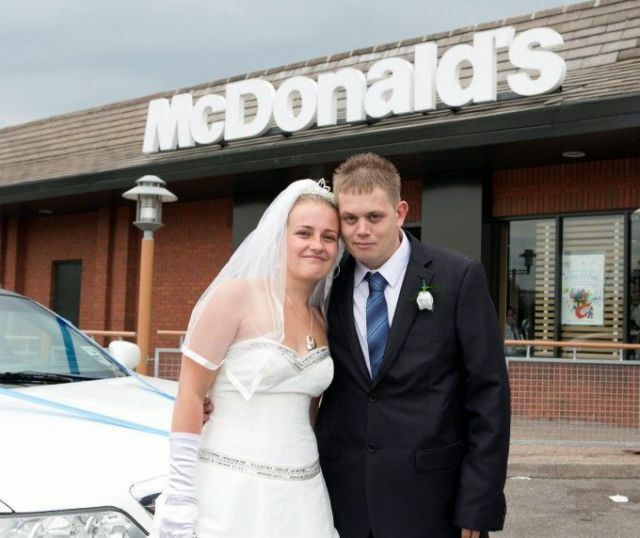 Steven, 28 and Emily, 21, decided to celebrate their wedding vows by hosting a reception at a local McDonalds restaurant where they had one on many dates together. 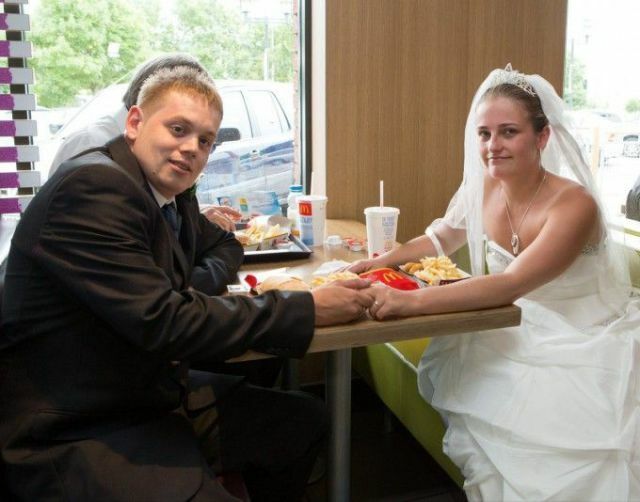 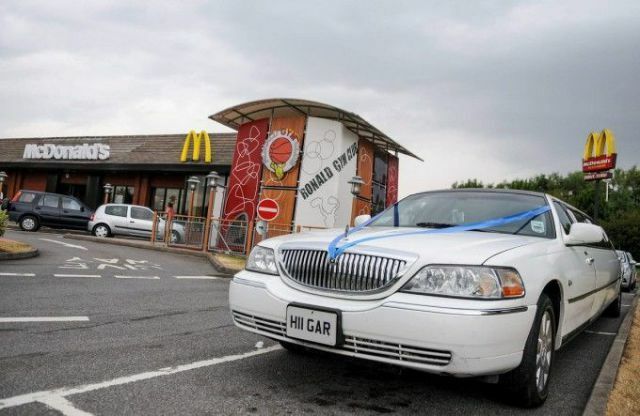 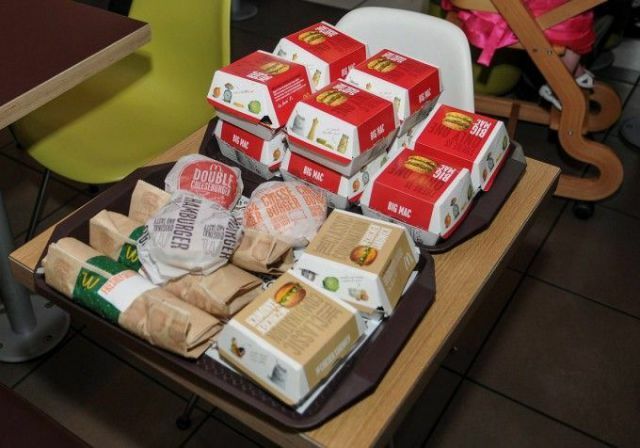 Along with 33 guests, the couple arranged a roped off area at the Bristol branch where they ordered burgers, fries, chicken nuggets and milkshakes. 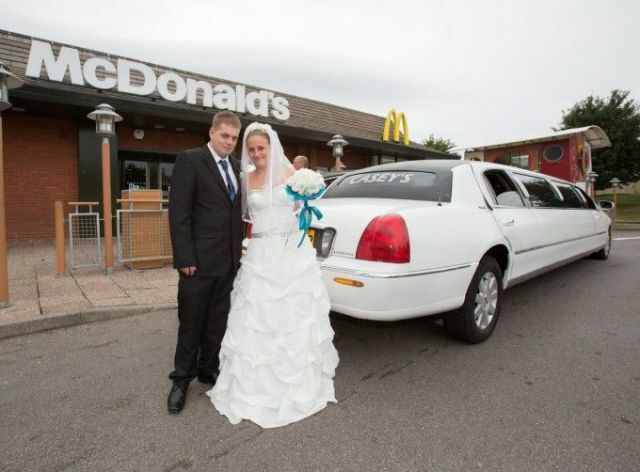 The meal cost only $233 and the manager gave the couple a bottle of champagne to congratulate them. 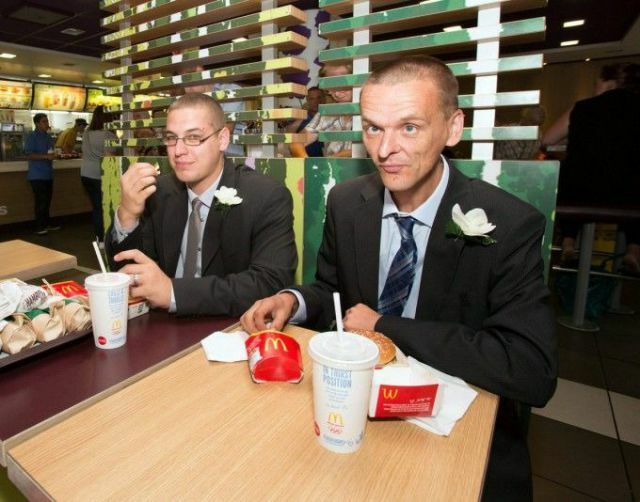 They all look like they should be on some sort of register, assuming that they aren't already. 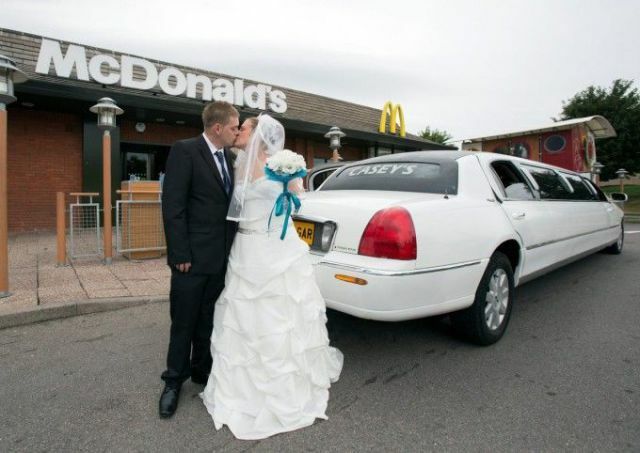 I would probably exclude the bride from this, due to her looking suitably embarrassed. 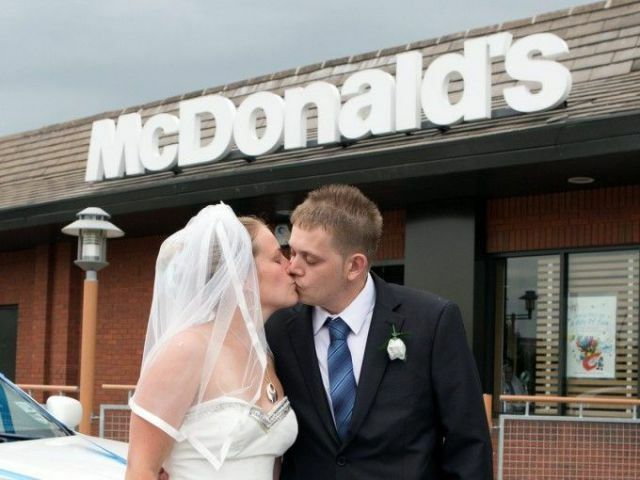 Picture 5 is especially joyous.